There probably has never been a religious figure, with the possible exception of Billy Graham, more familiar to television viewers than Bishop Fulton Sheen. His program Life Is Worth Living ran on network and syndicated television from 1951 to 1968, and reruns appeared on local television for years afterward. The following is from his Good Friday reflection at St. Patrick's Cathedral in New York City on Friday, April 13, 1979. It's known as his "last Good Friday," since he died on December 9 of that year. I've said it before, but I think his message is every bit as relevant today as it was then. Timeless, in other words. 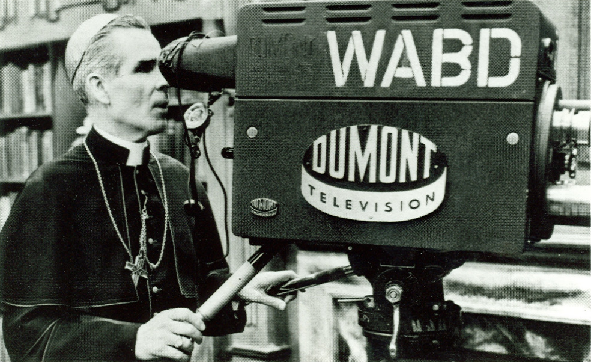 Correct me if I'm wrong, but I thought Bishop Sheen's last TV appearance came in October of 1979 when he joined Walter Cronkite on CBS's coverage of Pope John Paul II's first trip to the United States, and specifically, a Sunday-morning Mass on the National Mall in Washington.